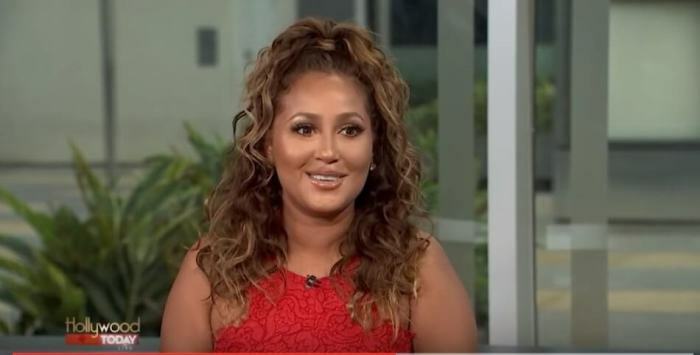 Adrienne Houghton says she faced a great deal of criticism when she began dating gospel singer Israel Houghton just one month after his divorce. According to Hip Hollywood, Houghton, 33, didn't allow people's negative comments about her relationship discourage her from getting married last November and "credits 'God' with the peace they were able to have during the storm." "We had three years of a really great friendship and I think that makes a huge difference," she told Hip Hollywood. "When it's meant to be things just fall into place. It's crazy how on the outside it looked like such a big circus yet in our inside world it was so peaceful." One month after Israel broke the news of his divorce, the world learned that he and Adrienne were dating. While rumors began swirling that Adrienne broke up his marriage, her now husband attempted to protect his future wife from salacious gossip by making a public statement. "... I understand that gossip and salacious untrue speculative stories are far more interesting and entertaining than the truth and facts. But, it's incredibly unfair to allow someone to carry the burden, blame and shame of something they had nothing to do with," the gospel singer wrote in a lengthy Facebook post last year. "It seems to be simple math that I had not even yet met Adrienne during the time my marriage was falling apart. It deeply saddens me that an innocent party would be dragged into this situation that I have taken personal responsibility for." When Adrienne's friends told her what reports were saying about her, the entertainer shrugged her shoulders. "I kept going," she said. "I just didn't feel any of that turmoil in my heart at all." While she has admitted that her journey to finding love was anything but easy, the daytime talk show co-host hopes that sharing her story will inspire others. "Life lessons are hard but I'm grateful that I have a platform to share my journey and hopefully encourage, inspire, or just let women know they are not alone and to never give up on finding love," she previously told Us Weekly.